All services are offered both in-person and online! If you are near the Seattle area, I invite you to come work with me at my home here on the beautiful grounds of Two Rivers Yoga & BnB in Carnation, WA. I also work with people from all around the world through Facetime, Skype, or Facebook Messenger. All yoga & meditation sessions are recorded and sent to you shortly after our time together. 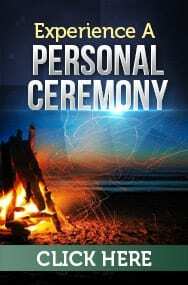 Personal Ceremonies are never recorded. Keep in mind, ALL appointments are made in Pacific Time Zone. You have successfully booked your appointment and will receive an email confirmation!